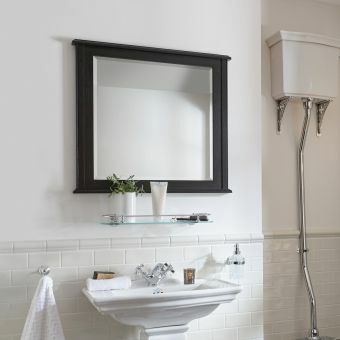 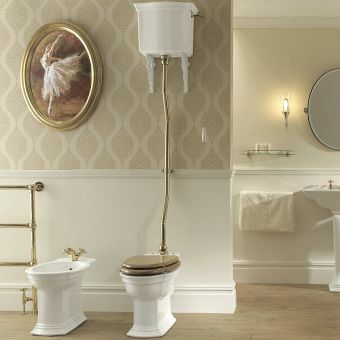 Bringing the classic Victorian style to the present day, this pan and high-level cistern combination from the Imperial Radcliffe collection is a stunning addition to the bathroom space. 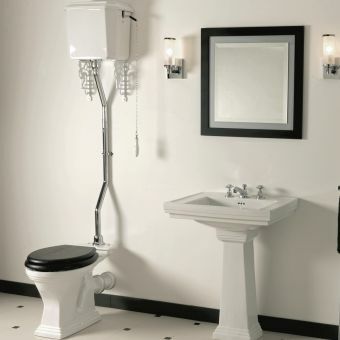 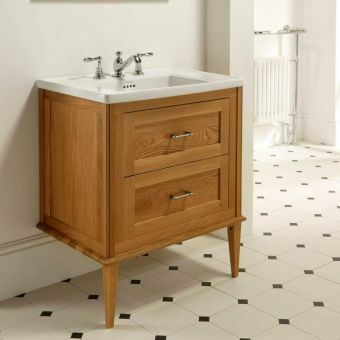 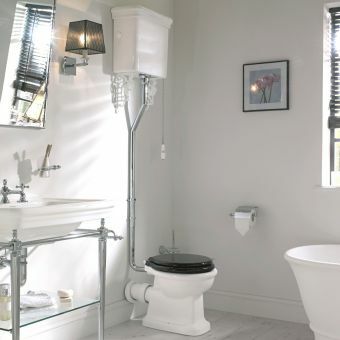 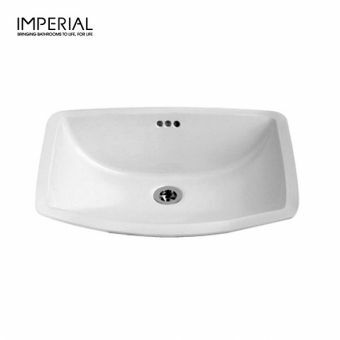 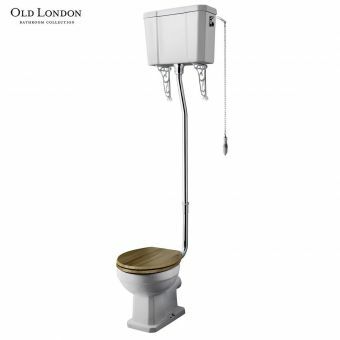 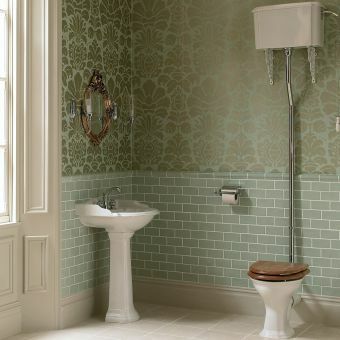 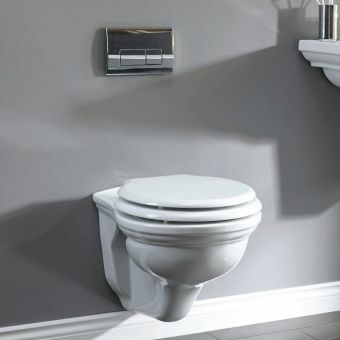 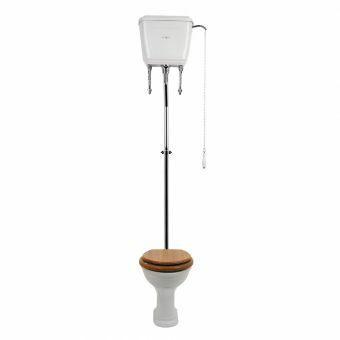 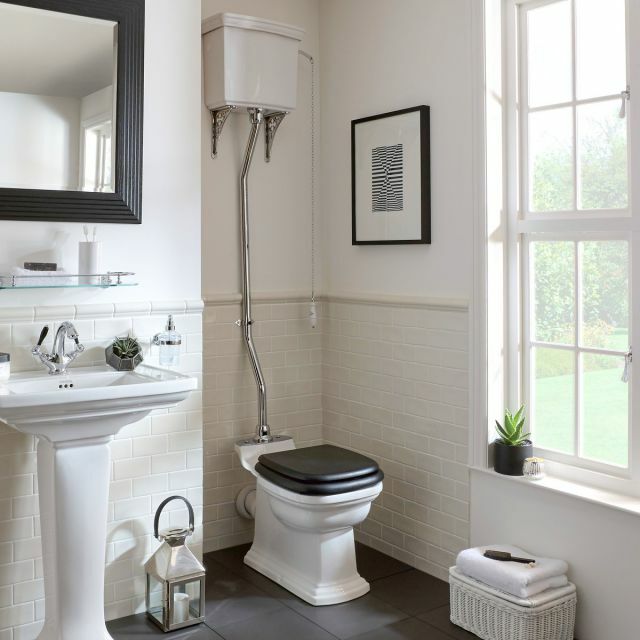 With its elevated cistern, supported by high quality filigree brackets, this high level arrangement provides a traditional gravity fed system that adds genuine class to the interior. 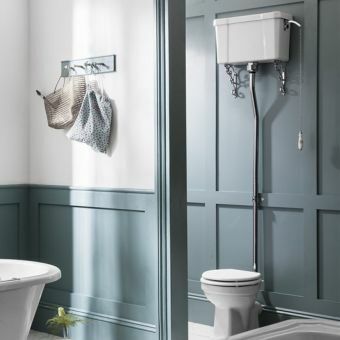 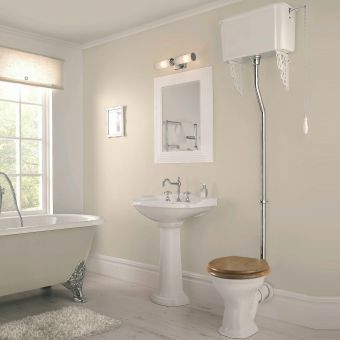 Activated with a traditional pull chain and Attached via a long connecting pipe from between 2000 and 2300mm, this cistern requires space to make its presence known and is suitable for spacious bathrooms. 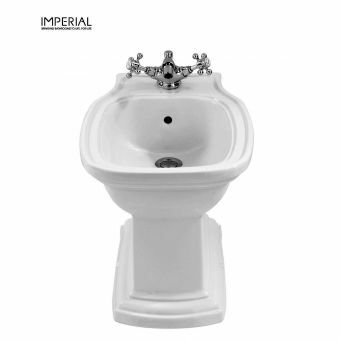 Supplied in traditional White, this set presents a bold, striking effect along with a choice of contrasting fittings in chrome, gold or nickel. 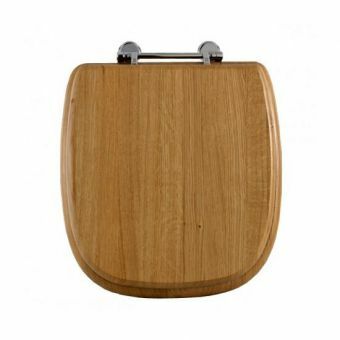 The toilet seat may be ordered to fit the pan and is available as a soft close or standard fit in a range of wood finishes. 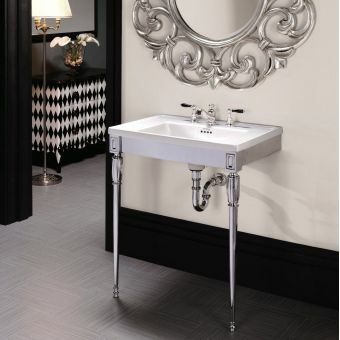 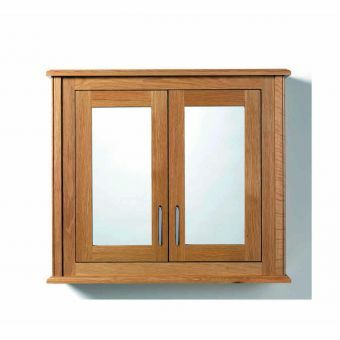 This suite measures 2150mm in height, 430mm wide and 720mm deep.